Speedvale Place Apartments is your escape to a quiet neighbourhood, where you will enjoy every minute of your day. Speedvale Place is set in a mature neighbourhood, on a tree lined street, located on the corner of Speedvale and Stevenson. Speedvale Place is a 3 story walk up with many sought after amenities and on-site charms. With the assurance of a Certified Rental building, Speedvale Place Apartments gives you peace of mind, knowing your new home is well maintained and secure. Our on-site Building Manager is readily available and responsive to all resident needs and concerns as they arise. Speedvale Place Apartments is also equipped with a pro-active maintenance program, ensuring your service requests are answered in a timely manner. Want to take a tour of the town? At your convenience, you'll find Speedvale Place is set just a few steps away from local bus routes and popular amenities. 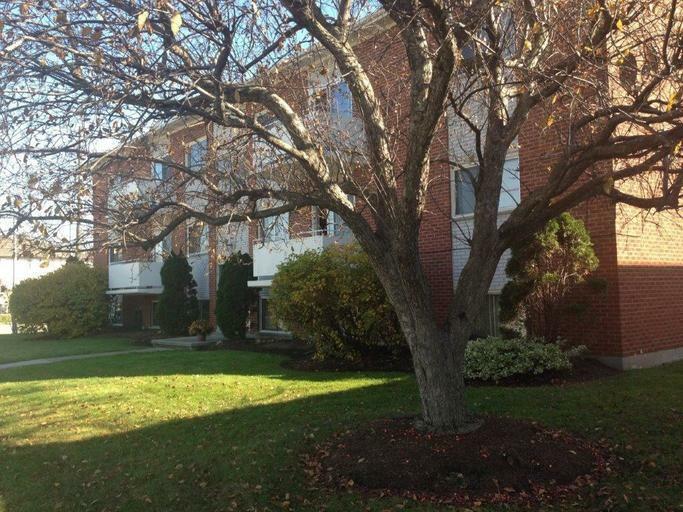 Minutes away from your doorstep you will find popular restaurants and grocery stores, along with boutique shops, Guelph General Hospital and The Evergreen Seniors Centre. Speedvale Place is perfect for those who enjoy living an active lifestyle. Riverside Park is set along the Speedvale river and offers the community a beautiful area to take a brisk walk, run, or bike ride on the Speed River Trail. Let your worries float away, as you admire the lovely rock gardens and the views of the pristine waterfront. Enjoy the relaxing lifestyle you deserve in the welcoming residential community of Speedvale Place Apartments.